Pranayama is a Sanskrit word which means "extension of the prāṇa (breath or life force)" or "breath control." The word is made of two Sanskrit words: prana meaning life force and ayama means control the prana. This is not exactly type of meditation, but it calms the mind and prepare it for meditation. For pranayama your posture must be comfortable and relax. Seat in comfortable posture or pose. I prefer 'Lotus pose' (Padmasana), ‘Half lotus pose’ and 'Thunder-bolt pose'(Vajrasana) for meditation. Take any Mudra (hand gesture) you like for meditation. I prefer Dhyan mudra and Gyan mudra for meditation. You can meditate sitting on the ground or chair or on Yoga Mat. As you seat in comfortable posture and took mudra with your eyes closed, concentrate on your breathing or internal sound like Heart beat. Don’t chant any mantra or pray. Stop your thinking and thoughts. Now slowly start inhaling, breath in full of your lungs capacity(inhale full) and at the same time count up-to 3 (3 seconds by counting 1,2,3 in mind), hold your breath for 3 seconds and then slowly – slowly exhale, count up-to 3. Hold your breath as empty again for 3 second and then repeat again for several times i.e. 3 – 3 – 3. 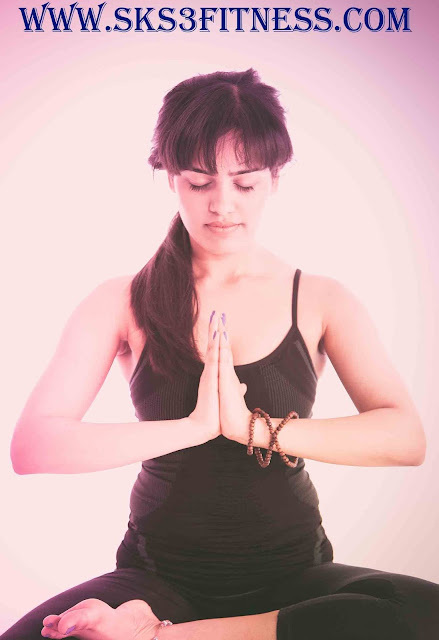 Next type is Nadi Shodhana Pranayama also known as 'Anulom Vilom'. As you seat in comfortable posture and took mudra with your eyes closed, slowly start inhaling and exhaling. By gently pressing your left nostrils with the help of your finger (thumb), breath - in full of your lungs capacity(inhale fully). Hold your breath for 3 second in that time release left nostril and gently press your right nostril with the help of another finger (Index or ring finger) and breath – out (exhale) slowly. Hold your breath for 3 seconds and repeat again for 10 or 15 times. The important note is take deep breath as you can, up – to your lungs capacity. Kapalabhati means skull shining breath exercise. As you seat in comfortable posture and took mudra with your eyes closed, slowly start inhaling through your nostrils until your lungs gets full. Then exhale forcefully at the same time pull your navel in-side. The exhalation must be short and quick, while the inhalation must be short and passive. Ujjayi means victorious breath exercise. As you seat in comfortable posture and took mudra with your eyes closed, inhale until you reach your lung capacity. Hold your breath for a second, then contract a portion of the breath at the back of your throat, as on the off chance that you were about to mumble a secret, and exhale slowly through both nostrils.